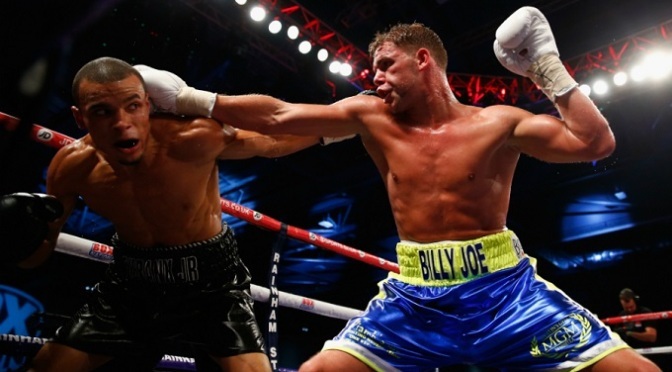 Boxing: Saunders earns split decision against Eubank Jr.
Billy Joe Saunders won a hard-fought split decision against Chris Eubank Jr. on Saturday at the ExCel Arena in London to earn a world title shot. Fighting in the co-feature to the heavyweight elimination fight between Tyson Fury and Dereck Chisora, Saunders became the mandatory challenger for the winner of the vacant world title fight between Matt Korobov and Andy Lee. They are scheduled to meet on December 13 in Las Vegas to fill the belt that Peter Quillin relinquished on September 4. Two judges had it for Saunders, 25, a 2008 British Olympian, 115-114 and 115-113, while one judge scored the fight 116-113 for Eubank, 25, the son of former world champion Chris Eubank Sr.
Saunders also retained the European, Commonwealth and British titles – and he also gained bragging rights over Eubank, with whom he traded vicious verbal barbs throughout the promotion before they showed respect in the aftermath. Saunders put many of the early rounds in the bank by outboxing a seemingly tentative Eubank, who was perhaps looking to conserve energy because he had never been past the eighth round. Saunders (22-0, 11 KOs), a southpaw, was controlling the pace and landing solid jabs. He looked very comfortable while the less experienced Eubank did not begin to look comfortable until the second half of the fight, when he had his best rounds. When he finally let his hands go, Eubank (18-1, 13 KOs) shook Saunders with several hard shots over the final few rounds. 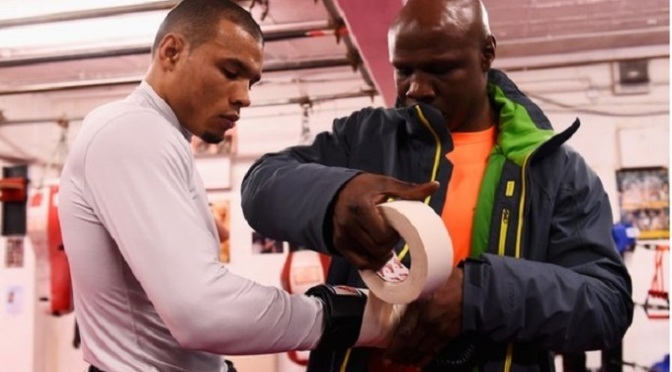 While Eubank Sr., in a black suit, stood in the ring in his corner between rounds, head trainer Ronnie Davis was forced to give instructions through the ropes. After the 10th round, he told Eubank he needed a knockout to win. From there on, Eubank went for the knockout as he chased Saunders around the ring and exerted extreme pressure. But even when Saunders took some big blows he did not wobble. Eubank had a huge 12th round but could not get Saunders off his feet. Chris Eubank Sr has claimed his son is the most talented boxer since Sugar Ray Leonard. Brighton’s Eubank Jr, 25, challenges for Billy Joe Saunders’ British, European and Commonwealth middleweight titles at London’s Excel arena on Saturday. Hatfield’s Saunders, a former Olympian, is the favourite for the fight, which has had an ill-tempered build-up. “The last person who had this ability was Sugar Ray Leonard,” said Eubank Sr.
“My son is the most dangerous young man I’ve ever come across in boxing, the most dangerous fighter on the planet. “I was the benchmark, I was the beacon, I was the one everyone was measured against. And I can’t even measure him against me. American Leonard, regarded by many as the greatest of the modern era, landed Olympic gold in 1976 before winning world titles in five weight divisions as a professional. But Eubank Sr has no qualms about comparing his son, undefeated in 18 contests since turning pro in 2011, to Leonard. “Am I putting too much pressure on him by saying he’s as talented as Sugar Ray Leonard?” Eubank Sr told BBC Sport.